What purpose do bundlers serve in the modern webdev stack? To try to answer these questions, I’d like to offer my historical perspective on what are (arguably) the two most important bundlers of the last five years: Browserify and Webpack. Disregarding some interesting but ultimately niche bundlers such as GWT, RequireJS, and Closure Compiler, concatenation was still the most common bundler until very recently. Even fairly modern scaffolding tools like Yeoman were still recommending concatenation as the default bundler well into 2013, using lightweight tools such as usemin. It was only really when Browserify hit the scene in 2013 did non-concatenation bundlers start to go mainstream. Make the CommonJS module system work for the browser (by crawling the dependency tree, reading files, and building a single bundle file). Make Node built-ins and conventions (process, Buffer, crypto, etc.) work in the browser, by implementing polyfills and shims for them. This second point is an often-overlooked benefit of the cowpath that Browserify paved. 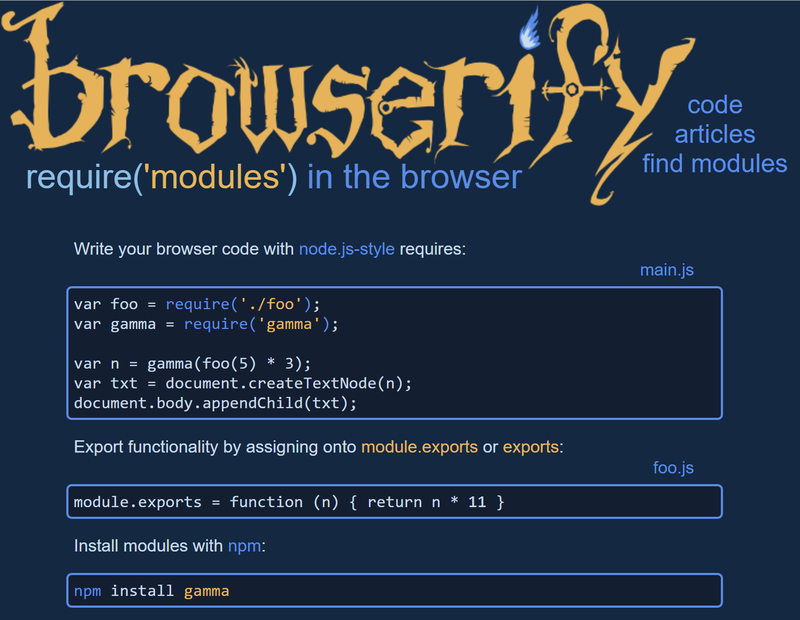 At the time Browserify debuted, many of those 50,000 modules weren’t written with any consideration for how they might run in the browser, and Node-isms like process.nextTick() and setImmediate() ran rampant. For Browserify to “just work,” it had to solve the compatibility problem. What this involved was a lot of effort to reimplement nearly all of Node’s standard library for the browser, tackling the inevitable issues of cross-browser compatibility along the way. This resulted in some extremely battle-tested libraries such as events, process, buffer, inherits, and crypto, among others. All of these libraries – buffer, crypto, process, etc. – are still in wide use today via Browserify, as well as other bundlers like Webpack and Rollup. They are the magic behind why new Buffer() and process.nextTick() “just work,” and are a big part of Browserify’s success story. While Browserify was picking up steam, and more and more browser-ready modules were starting to be published to npm, Webpack rose to prominence in 2015, buoyed by the popularity of React and the endorsement of Pete Hunt. 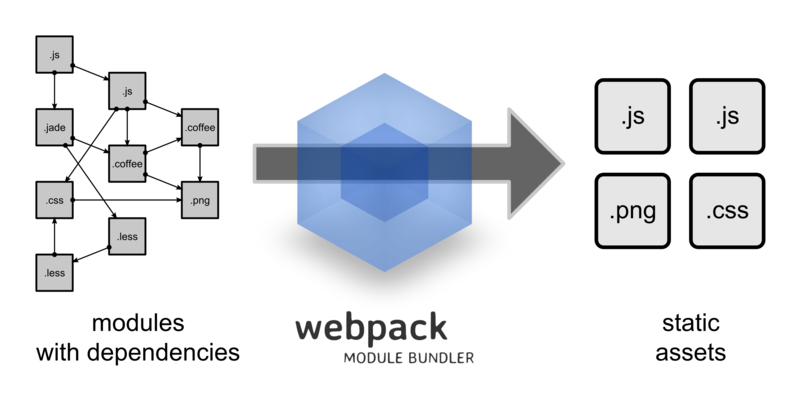 Today, Browserify and Webpack have largely converged in functionality, although Browserify still tends to be preferred by old-school Node developers, whereas Webpack is the tool of choice for frontend web developers. Up-and-comers such as Rollup, splittable, and fuse-box (among many others) are also making the frontend bundler landscape increasingly diverse and interesting. So that’s my view of the great bundler wars of 2013-2017! Hopefully in a future blog post I’ll be able to cover whether or not bundlers like Browserify and Webpack demonstrate the need for a “standard” to unite them all. Feel free to weigh in on Twitter or on Mastodon.